Many of us grew up watching Mutual of Omaha’s Wild Kingdom, a show that captivated America with images of wild animals and wild places. 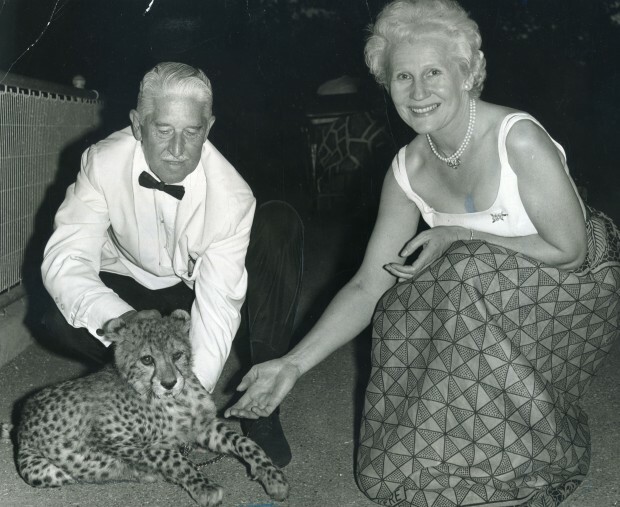 The host of the show, Marlin Perkins, was a remarkable man whose life work was dedicated to wildlife and conservation. His wife, Carol, stood by his side and together they were a powerful voice for many conservation issues around the globe. One of their lifelong dedications was preserving and saving critically endangered canids, such as the red wolf and the stars of our film, Mexican gray wolves. Together they founded the Wild Canid Survival and Research Center (now known as the Endangered Wolf Center) in 1971, just outside of St. Louis, MO. This facility played a large role in saving the Mexican wolf from a certain extinction. The legacy of Carol and Marlin Perkins lives on at the Endangered Wolf Center. Almost every Mexican wolf today, whether it lives in the wild or in captivity, can trace it’s history back to this facility. Our film, The Last Pack, aims to continue the Perkin’s legacy of conservation by generating more awareness on the current plight of the Mexican gray wolf. Their dream and vision of creating a facility to house and save several species from extinction became a reality in 1998 when 11 Mexican wolves were released into the wild. Today, 75 wolves survive in the wild, and over 280 live in captive facilities across North America. At the time when they started the Wild Canid Survival and Research Center, only 5 Mexican wolves were known to exist in the wild, and they were trapped to save the species. An additional two Mexican wolves were discovered at a captive facility, bringing the total to 7. These 7 wolves are the founders of The Last Pack. We are dedicating this film, The Last Pack: A Return to the Wild, to both Carol and Marlin Perkins in honor of their dedication to Mexican wolves and canids alike. This film will become a voice for Mexican wolves, promoting an accurate understanding of wolves, their importance to nature, and ways we can coexist with this apex predator. True to the lives of Carol and Marlin Perkins, The Last Pack will be used to educate people on the importance of conservation.